As if I needed to add to my huge nail polish collection, somehow Bourjois' 'Turquoise Block' has found it's way in, along with 2 others from the blogger favourite 1 Seconde range (posts to come!). 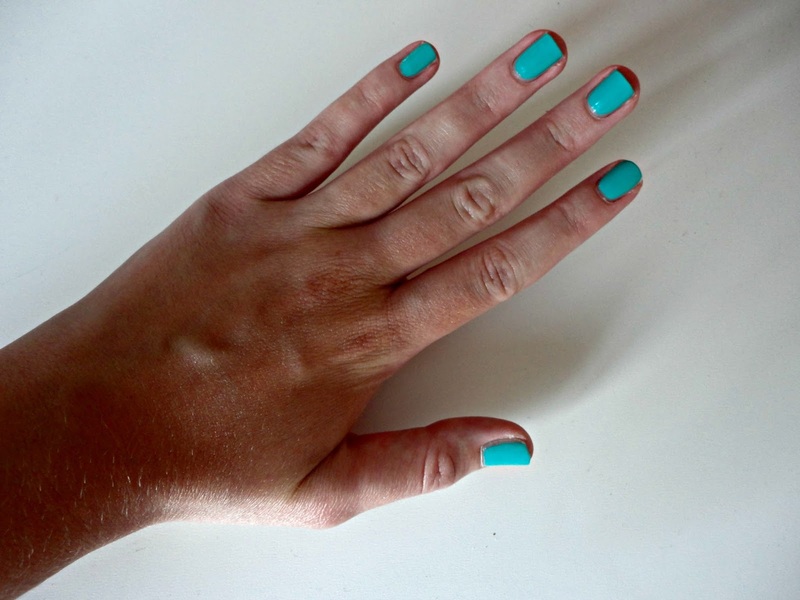 Turquoise Block is a gorgeous neon turquoise, a universally flattering shade, which - I've convinced myself - is unlike anything I've already got in my collection. The perfect summer colour, although I'm sure it will be found on my nails come autumn. The 1 Seconde formula is faultless, the swatch above was with just one coat! 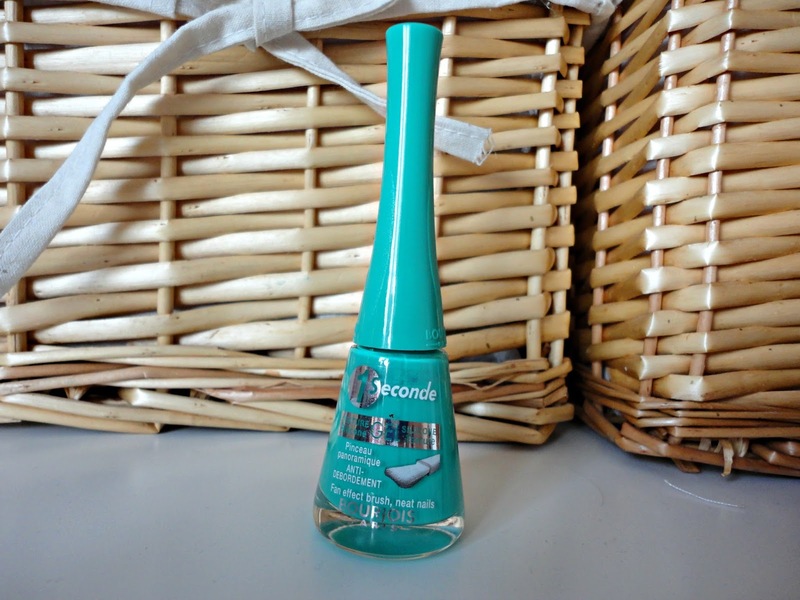 Perfect for when you have zero time to be waiting for nails to dry but want an opaque, non-streaky finish. I've found that this lasts for such a long time too, I'd say around 5 days, but with a good top coat it would be much more than that! And it's amazing how it looks with only one coat! what a gorgeous colour, definitely have to buy this!